The Purdue Boilermakers travel to Ryan Field to take on the Northwestern Wildcats on Saturday, November 11, 2017. The opening line for this game has Northwestern as 5 point favorites. 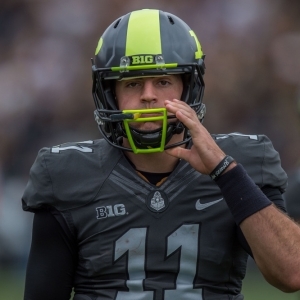 The Boilermakers have an ATS record of 6-3-0 while their over/under record is 2-7-0. The Wildcats have an over/under record of 4-4-1 and they are 6-3-0 against the spread. 11/04/17 CB Da'Wan Hunte Hip is "?" 11/04/17 LB T.J. McCollum Knee is "?" 11/04/17 RB Tario Fuller Foot is "?" 11/04/17 WR Jalen Brown Lower Body is "?" The Purdue Boilermakers are 91st in Division 1 in points scored with 222. They have run 622 plays this season for 3,500 yards, which ranks them 64th in the nation in total offense. The Boilermakers average 5.6 yards per play, which is 73rd in college football. As a team they have accumulated a total of 191 1st downs this year, placing them 54th overall as an offensive unit. On the ground Purdue has run for 1,434 yards as a team, which ranks 70th in the country. They've run 313 times, averaging 4.6 yards per carry as a rushing unit. The Boilermakers have been penalized on offense 60 times for 511 yards so far this season, which has them 49th in the nation in penalties. David Blough has thrown for 1,103 yards this season. He has completed 102 passes on 157 attempts for a completion percentage of 65%. His quarterback rating this year is 137.8. He averages 7 yards per pass attempt and 7 adjusted yards per throw. Purdue is 23rd in the nation in points allowed on defense with 170. They have surrendered a total of 3,323 yards on D, which is 48th in Division 1. The Boilermakers are ranked 58th in yards per play allowed with 5.5. Opposing offenses have completed 157 passes on 272 attempts against the Purdue Boilermakers defense this season, placing them 55th and 53rd in the country. The Purdue pass defense has also given up a total of 2,019 yards through the air, which is 71st overall in total pass defense. Their rushing defense has allowed 335 attempts for 1,304 yards this year, putting them in 43rd place in D-1 against the run. The Boilermakers have committed 67 penalties for 551 yards on the defensive side of the ball this season. That ranks them 90th in the nation. Purdue is ranked 26th in the nation in punt returns with 18. They've accumulated 55 punt return yards and average 3.1 yards per return, which is 122nd in college football. They have returned 23 kicks for 410 yards on special teams, ranking 100th in kick return yardage. The Boilermakers average 18 yards per kick return and they are 95th in the country in all-purpose yards with 3,965. The Purdue Boilermakers have attempted 19 field goals this season and made 14, which is 23rd in D-1. Their kickers have a field goal percentage of 74%. Purdue Boilermakers kickers have made 96% of their extra points, going 22 for 23 this year. Their punters have totaled 1,960 yards on 47 punts, averaging 42 yards per punt. That places them 72nd in Division 1 in punting average. The Wildcats have run for 1,254 yards as a team, which ranks 92nd in the nation. They've run 341 times, averaging 3.7 yards per rush as a unit. The Wildcats have been penalized on offense 47 times for 467 yards so far this year, which has them 96th in the country in penalties. They are 70th in Division 1 in points scored with 252. They have run 700 plays this year for 3,663 yards, which ranks them 34th in the nation in total offense. The Northwestern Wildcats average 5.2 yards per play, which is 103rd in college football. As a team they have accumulated a total of 213 1st downs this season, ranking them 22nd overall as an offensive unit. Clayton Thorson has completed 210 throws while attempting 346 passes for a completion percentage of 60.7%. He has passed for 2,287 yards this year. He averages 5.8 adjusted yards per throw and 6.6 yards per pass attempt. His quarterback rating this season is 119.4. The Northwestern Wildcats rush defense has given up 315 attempts for 1,056 yards this season, putting them in 14th place in the country against the run. They have had 49 penalties for 444 yards on defense this year. That places them 53rd in Division 1. Northwestern is 45th in college football in points surrendered on defense with 218. They have given up a total of 3,447 yards on D, which is 55th in the nation. The Wildcats are 34th in yards per play allowed with 5.2. Opponent offenses have completed 208 throws on 353 attempts against the Northwestern defense this season, ranking them 122nd and 123rd in the country. The Northwestern Wildcats pass defense has also surrendered a total of 2,391 yards in the air, which is 110th overall in total pass defense. The Northwestern Wildcats have tried 11 field goals this year and made 9, which is 78th in college football. Their kickers have a field goal percentage of 82%. Northwestern kickers have made 100% of their extra points, going 31 for 31 this season. Their punters have accumulated 1,898 yards on 45 punts, averaging 42 yards per punt. That ranks them 59th in the NCAA in punting average. Northwestern is 112th in the country in punt returns with 8. They've totaled 43 punt return yards and average 5.4 yards per return, which is 88th in D-1. They have returned 21 kicks for 386 yards on special teams, which puts them 111th in kick return yardage. The Wildcats average 18 yards per kick return and they are 83rd in the nation in all-purpose yards with 4,092.
Who will win tonight's Boilermakers/Wildcats college football game against the spread?